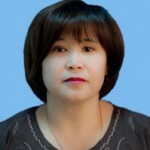 Alma Akynzhanova, was born on January 20, 1971 in the village of Koyandy, Egindybulak district, Karaganda region. 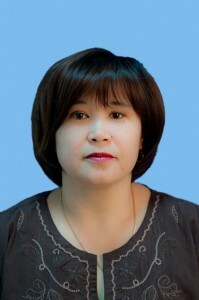 Works at the department since 2009. In 2014, she graduated from the magistracy of KarSU named after E.A.Buketov in the specialty 6M11800 – Russian language and literature, received an academic degree of master of pedagogical sciences. Author of more than 20 scientific articles, 5 teaching aids. In 2013, she underwent training and research internship at the Eurasian Academy of Bratislava (Slovak Republic). The theme of the research work is “Sociolinguistic monitoring of the functioning of the Russian language in micro-social groups”. For the progress achieved in educational work, as well as for his contribution to the development of education in different years, has gratitude.